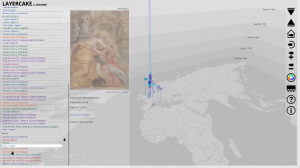 The Aga Khan Documentation Center, MIT Libraries (AKDC@MIT), is pleased to announce the public release of LayerCake, an interactive tool for mapping data points across time and space. The LayerCake project was initiated by Sharon C. Smith, Ph.D., Head of Distinctive Collections at Arizona State University, and former AKDC@MIT Program Head, who served as the PI for the project. Interim AKDC Program Head, Michael Toler, Ph.D. now serves as the project PI. Working with designer and programmer, James Yamada (MDes, Harvard GSD, 2014), the tool is currently under development at AKDC@MIT. 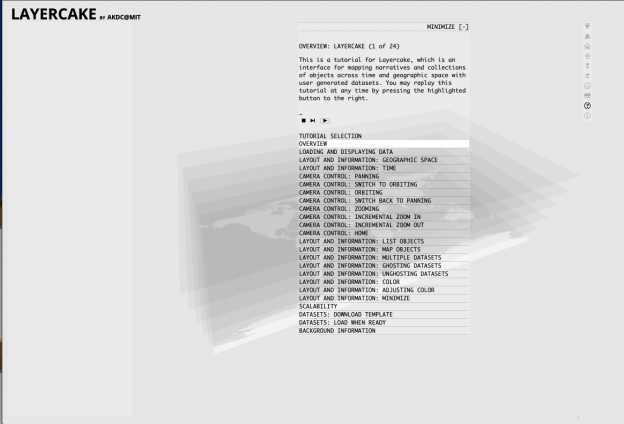 As a 3-axes mapping tool, LayerCake enables users to build maps layering narrative, time, and space simultaneously. It is our intention that LayerCake be used by scholars, researchers, and students to tell stories, display collections, and reveal complex temporal and geographic relationships in ways that purely spatial maps cannot. In LayerCake, latitude and longitude are mapped on the horizontal axis, while time is mapped on the vertical axis. The scale of the time axis is remapped to accommodate the chronological span of items on the map. 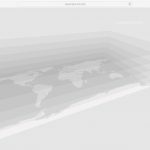 Users may explore the map by panning, orbiting, and zooming their point of view. They may also click on map items for detailed information. 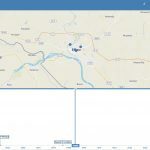 A prototype of the tool released in 2017 provides a demonstration of capabilities of the tool by mapping the 12th c. travels of Ibn Jubayr. LayerCake was developed using three.js, moment.js, OrbitControls.js, socket.io, node.js, and mongoDB, as well as UI scripts by Panagiotis Michalatos at the Harvard Graduate School of Design. It shares DNA with the metaLAB (at) Harvard Book Biography Machine project. Watch for new features in the coming months, developed through a collaboration between Project Cornelia at the University of Leuven and the LayerCake Project of AKDC@MIT enabled by a grant from the MIT International Science and Technology Initiatives (MISTI) Global Seed Fund. We invite you to try the tool with your own data, and welcome your comments and suggestions. Please contact us at layercake@mit.edu.